In today’s changing economy, it’s not uncommon for people to become overwhelmed with bills and expenses. Whether your struggle is due to rising healthcare costs and the lack of insurance or the loss of a job, know that you are not the only one trying to make ends meet. Bankruptcy may be a way for you to gain control over your finances. If you are eligible for a Chapter 7 bankruptcy, you could have your outstanding debt wiped clean! Here’s what you need to know about Chapter 7 bankruptcy in Florida. Who Can File for a Chapter 7 Bankruptcy? Not everyone can file for a Chapter 7 bankruptcy, even if they’re having trouble paying their bills. In order to be eligible, a person must be at or below the median income range for a family of their size in their area. This is called a “means test,” and if you meet the eligibility requirements, you’ll be able to file for this type of bankruptcy. 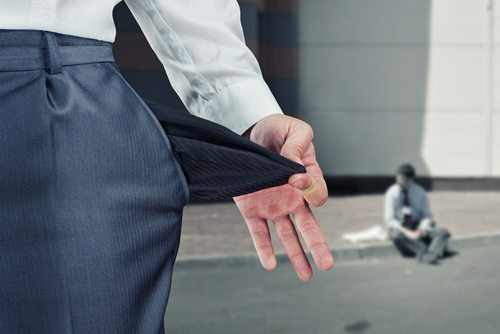 In some cases, individuals over the median income limit may still be able to file for a Chapter 7 bankruptcy if they have a large amount of debt. In a Chapter 7 bankruptcy, your assets will be liquidated in order to pay all or a portion of your outstanding debt. However, this does not mean that you’ll be left without a home or a car. Many assets are considered exempt from liquidation, especially if they are necessary for basic, everyday living. Your Florida bankruptcy lawyer can help you list as many assets exempt as possible so you can keep what is important to you. In many cases, families are able to claim all of their assets or property exempt. Will All Debts Be Discharged? Once your assets are liquidated, the money will be used to pay some or all of your creditors. Unsecured debts will be discharged, whether the creditors have been paid or not. Secured debts, like student loans, will not usually be discharged. In some cases, unsecured debts may not be discharged. For example, you may still have to pay back debt on a credit card if you took it out right before you declared bankruptcy and maxed it out. Creditors also have the opportunity to challenge your bankruptcy, and the court may decide that you still owe a particular creditor. Bankruptcy is a complicated process, especially if you are looking to liquidate your assets to pay your debts. By working with a seasoned Florida Chapter 7 bankruptcy attorney, you can become informed about the process and ensure you are making the smartest decisions possible when it comes to your financial future. At the Law Firm of D.C. Higginbotham, we have the experience and resources needed to provide you with comprehensive bankruptcy representation. Contact us today to schedule a consultation to discuss your case at (904) 354-6604. We are ready now to assist you.